The Rome Market: If you have ever been to Rome, you can appreciate what a great city it is; full of incredible history, rich culture, great food, unbelievable sights and the true spirit of Italy. It is also a very chaotic tourist city with a relatively unsophisticated sightseeing infrastructure. 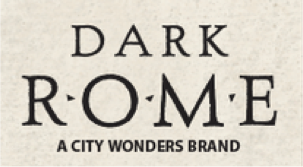 By this, I mean that there are multiple companies engaged in sightseeing, but very few good ones and very little differentiation between the core product offerings. There is also a history of public vs. private competition, which is further complicated by the continued involvement of the Vatican in certain segments. This results in very aggressive price competition, which is evidenced on the street through the predatory tactics on consumers by street agents (newsstands, souvenir shops, touts, etc.). GARTOUR: Gartour is a Destination Management Company (DMC), providing B2B service to tour operators, wholesale customers and OTA's. They do not currently run a consumer-facing business. Some of the senior management of the company are former Appian Line (former GL Rome) managers. The cater primarily to the Russian wholesale market, which constitutes most of their business. Not a candidate due to limited consumer experience and market focus. 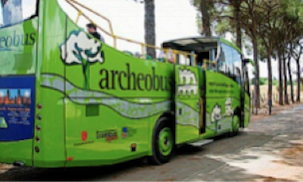 T: Tambus open operates the 110Open and ArcheoBus services in Rome. Started in 2003 as a JV between ATAC (City of Rome) and Les Cars Rouges. Allegedly, the company was subject to an EU infringement investigation, which has resulted in the City of Rome privatizing the company and issuing a new tender for Gran Turismo (sightseeing) Licenses. Though announced, the tender has never been finalized or restrictions enforced.Not a candidate due to single-segment product and ownership structure. TTS/Open Tour: TTS was originally a hotel reservation company, but recently expanded into various tourist segments. They used to operate a HopOn HopOff Service (Rome Open Tour) in conjunction with their Batteli di Roma Tiber River Cruise. They also offer a Rome Tourist Card, incoming services through Margana Travel, sub-contracted airport transfers and Golf Tee times. Neither the HopOn HopOff or the cruises operated during the 2013 season, due to Licensing issues, although they are currently operating a HopOn HopOff service in Athens. Not a candidate due to operational issues and company structure. NEW VAS/Open Tour: The above logo is from "old" VAS, an incoming tour operator. Old VAS shut down due to insolvency. A former employee of TTS opened a new company as "NEW" VAS. As New VAS, they operated the Rome Open Tour, which was originally started by TTS. 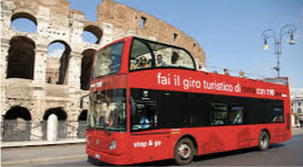 CITY SIGHTSEEING: The CS Franchisee in Rome, also operates many locations in Italy through sub-franchise agreements. Not a candidate due to single segment operations and competitive overlap in other GL markets. ROMA CRISTIANA: This service is part of Opera Romana Pellegrinaggi, a branch of the Vicariate of Rome, directly overseen by the Cardinal Vicar to the Pope.The service operates only in the HoHo segment. Not a candidate due to the limited product offering and ownership structure. GREEN LINE: This company (as have other unaffiliated Green Line's around the world -Cancun, Frankfurt, etc.) has been trading off a similar trade name to ours. Not a candidate due to this and a scope of services offered. MISC. DMC's: The companies listed above are the main operators in Rome, competitive to Carrani Tours. There are multiple DMC's also operating in Rome, which were not considered due to their limited operations, market focus or commercial size.